Students worked in groups to create a poster describing at least three aspects of a given goal. 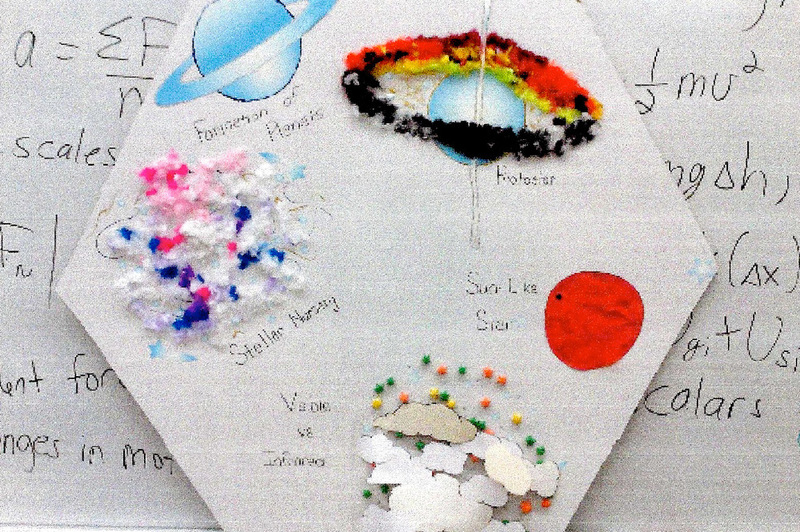 Two groups examined planets and origins of life, one group explored the birth of stars and protoplanetary systems, one group explored the telescope design (complete with small models of the mirror and sunshields), and one group explored first light and reionization. 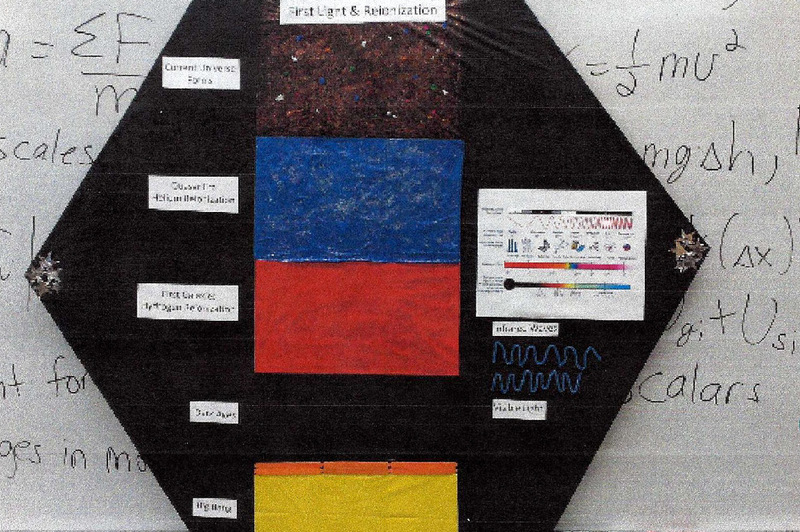 All students presented their posters and work to the class, discussing cosmological redshift, the Big Bang and the early universe, the habitable zone, forming absorption spectra, and the transit method for finding exoplanets. My current astronomy students are just now wrapping up a project on some of JWST science goals and engineering/design aspects. 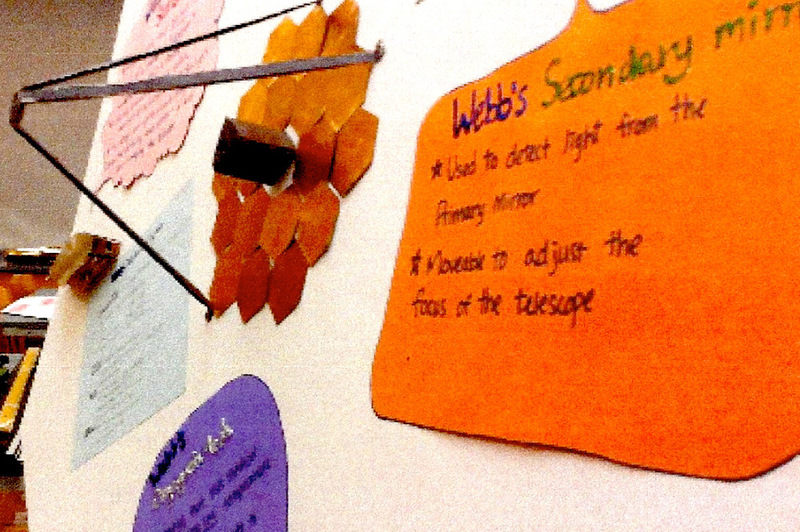 To give the students a feel for just how big JWST will be, my original plan was for each group’s poster to be a hexagon as big as an actual JWST mirror segment. Poster board in that size wasn’t available, but we could get pieces big enough for 45”-diagonal hexagons. The students are all presenting their posters and work to the rest of the class. Their presentations so far have discussed cosmological redshift, the Big Bang and the early universe, the habitable zone, forming absorption spectra, and the transit method for finding exoplanets.